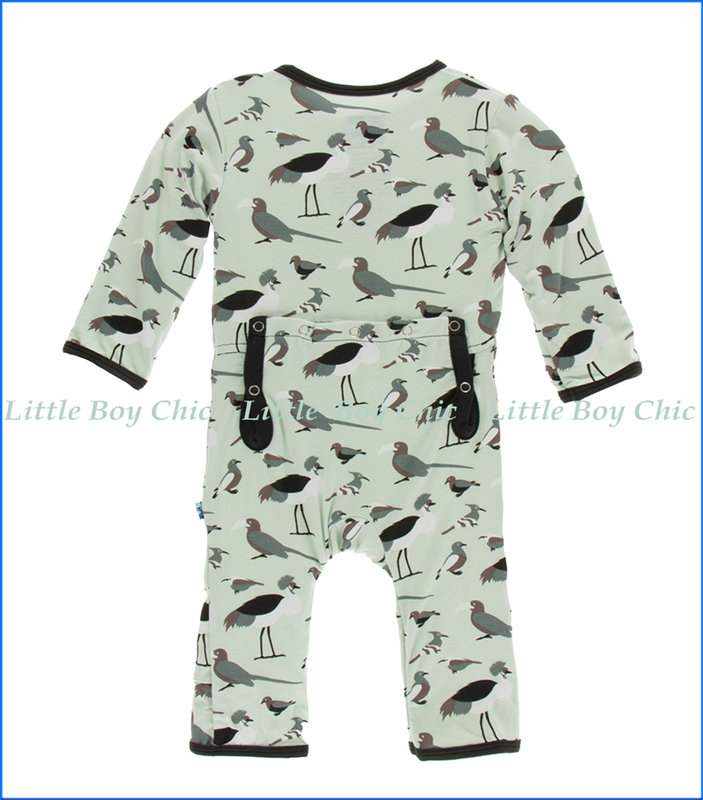 This Lovely Coverall by Kickee has a very sweet print of birds on a calm green background. 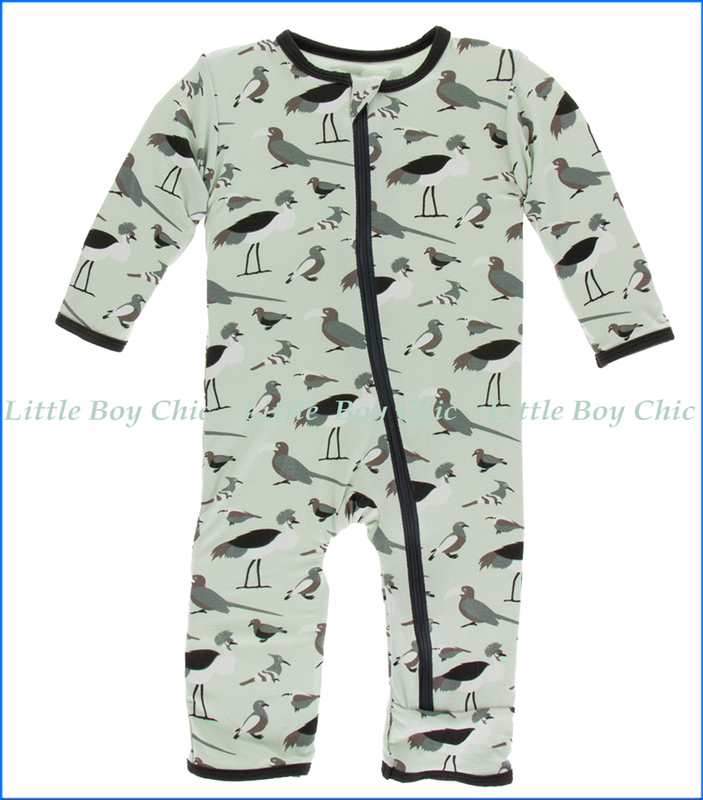 Made with breathable, super soft, and ecofriendly fabric that feels cooler in hot weather and warmer in cold. Soft and delicate hand feel that is specific to bamboo fabric. A tad of stretch for added comfort. Printed labels with no tags to irritate. Back flap snaps open for easy diaper access. Mom will appreciate the ankle-to-chin zipper opening that make dressing simple, as well as the soft safety tab that covers zipper on the interior to protect his delicate skin and give her a peace of mind.